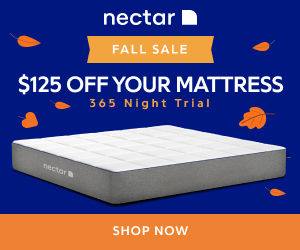 So, you’ve found the perfect mattress. 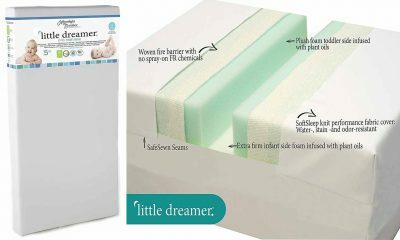 A deliciously comforting memory foam sleeper that marks the end of your morning aches and restless nights. Now all you need to do is find the right foundation. 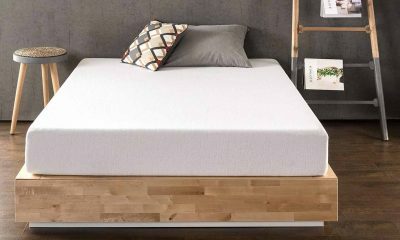 If you’re looking for the best memory foam mattress foundation, you’ve come to the right place.In the following article, we’re going to run over a few useful tips before making 10 recommendations for the best foundation for memory foam mattresses on the market today. In a hurry? Then take a look at the Zinus 9” High Profile Smart Box Spring Foundation. 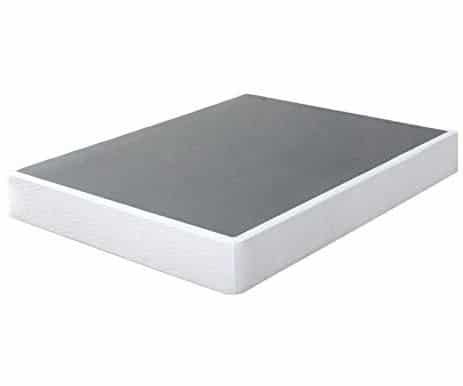 Produced by a highly reputable brand and providing excellent comfort with an easy set-up, this box spring model is our top pick for those looking for the perfect foundation for a memory foam mattress. 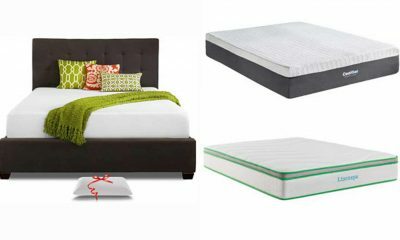 Here are the latest reviews of the 10 best foundation for memory foam mattress. Zinus are famous for their Green Tea infused mattresses, but they deliver some impressive foundations as well. If you’re already a Zinus owner, opting for a foundation to match will give your room a complete feel and a snug fit. Reinforced Steel Box Spring: This foundation looks like a traditional box spring, but underneath it’s got a solid steel frame. Comfort and look coupled with longevity makes this a terrific value buy. No Tools Necessary:There’s no need to spend hours poring over an instruction manual. The practical foldable design makes putting this foundation together a breeze using just your hands. Lightweight: Despite a high-profile design, this box spring is light-weight. It’s foldup design makes it easy to move and set up. 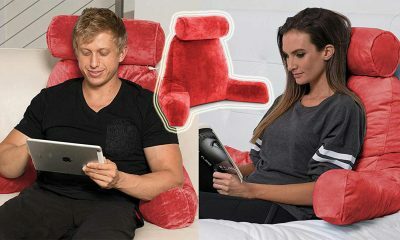 This is extra handy should you want an additional guest bed or to take with you on a trip. These mattress gurus are edging closer to the 50th year in the industry. It’s that kind of staying power that tells you: this is a worthwhile brand. Sitting pretty at 8” high, this wood encased box spring delivers premium quality at a low price. Amish crafted wood:The outer edges of this box spring have been hand-crafted by Amish communities. Famous for putting in the hard-yards, these solid spruce frames are built to last. The natural finish doesn’t look bad, either. Noise-free:Nothing worse than a creaking box spring. Happily, for you and your neighbours, this product is noise free. With no rattling pieces or poor construction, we’re pleased with the quality on offer here. Easy Assembly With Versatility:It took us less than half an hour to get this ready for our mattress. 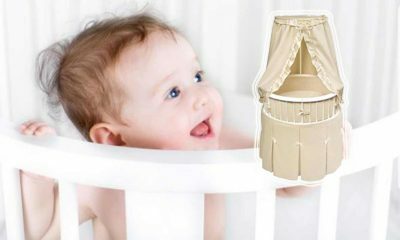 Instructions are simple, easy to follow and this foundation is designed to support any size bed. This is a green mattress brand. 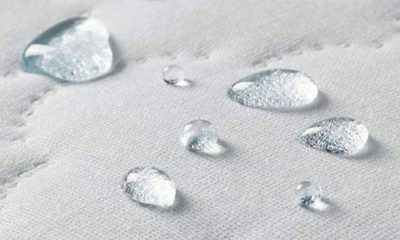 That means Olee have committed to manufacturing their products in a sustainable way. But, what about their foundations? The first up on our list of solid metal platforms is 14” high with no wood anywhere- perhaps they’re saving the rainforests. Easy To Set Up And Fix:There’s no need to get the toolbox out. This platform is fixed together using pins which can be placed with your hands. Even weight distribution:Those wires might look thin, but they contribute to an even weight distribution across the frame. Olee call it dura metal comfort, and we like it. Pushed In Side Legs:Legs are situated an inch and a half underneath the bed; protecting your precious toes. 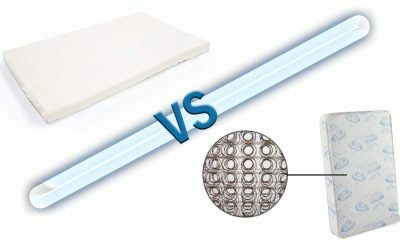 Similar in looks to the Olee sleep, this mattress foundation uses a smart base for added stability. It comes from Zinus with a surprisingly fair value price tag. 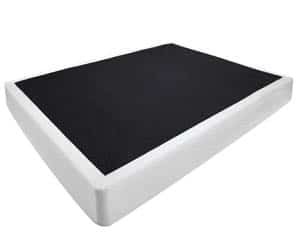 Finished in black chrome, this provides a sturdy, durable platform for your memory foam mattress. 13” Ground-clearance:Underneath the frame there’s a stunning 13” of ground-clearance. Ideal for those living in smaller spaces who need somewhere for storage. No Tools Required:Similar to the Olee Sleep, there’s no need to go digging around for a tool-box. 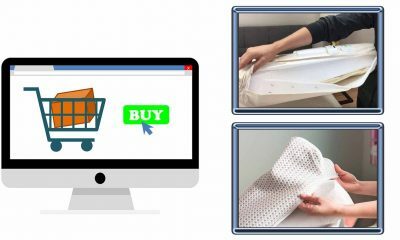 This mattress platform can be set up in as little as 15 minutes using just your bare hands. 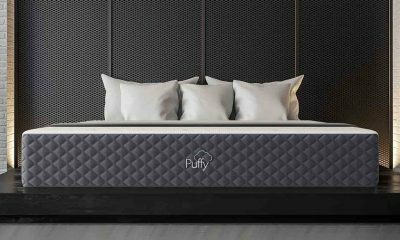 Best Fit For Average Weight:People weighing between 100 and 200llbs will find this mattress provides the perfect support. It’s evenly balanced, with a solid metal frame that is sure to last for a long time. 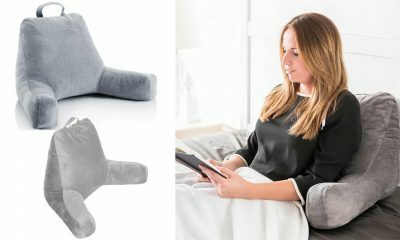 You probably haven’t heard of pragma bed before. These guys are propping up the market in terms of price, but they’ve really delivered a quality product here. A solid metal, four-way foldable frame that is light-weight and easy to set-up. 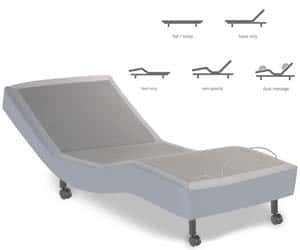 We’re impressed with how Pragma Bed has managed to marry practicality with low-costs and still deliver an excellent product. Powder Coated Finish:Each unit is finished off with a light powder. 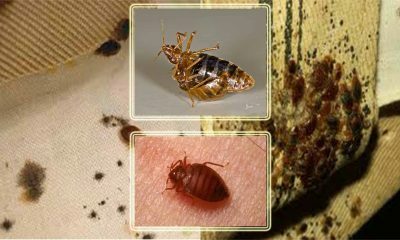 This helps to repel bed-bugs as well as dust-mites leading to a more hygienic surface to lay your mattress on. Four-way Folding:Super easy to store thanks to its four-way folding mechanism. Surprisingly, for a low-cost unit, the mechanisms seem robust enough to handle regular set up and pack downs. Lots Of Ground Clearance:Even with all the folding components, they’ve still managed to deliver a decent ground clearance. Handy for those limited in storage space. Opting for a low-profile foundation is a good way to save a few bucks whilst still grabbing a high ticket item. Classic brands have a great reputation for quality products. This wooden slatted design, is perfect for replacing a box spring and can be fitted with high profile mattresses. Here’s the key points. Low Profile:Easier access for those who might have trouble getting into bed. It’s also been designed to seamlessly replace the large, more cumbersome, box springs. Customer Service:Classic Brands have a 5-star reputation for their customer service. Should you run into any trouble, you can trust their returns policy to help you out. Shipping is also easy whilst instructions for setup are super straightforward. Solid Wood:Unlike box-springs, which fade over-time, this foundation is made using solid wood. Hand-crafted Amish solid wood to be precise. We just wish they had run a sander over the outside to prevent us getting splinters in our hands. If you don’t want to compromise on comfort, or you need assistance with sitting and standing, Serta’s motion essential series has you covered. This product has 3 dual hinges to help you prop up your back, legs or head. It can be controlled remotely as well for those who have impaired movements. High-performance Lifting Capacity:This bed is suited to all comers. 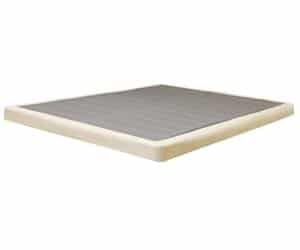 Capable of lifting up to 650llbs including the surface mattress you should have no trouble getting to your favorite position with this product. Wireless Remote:The wireless remote is simple and easy to use. A four button display to help control each set of hinges, allowing you to move the head or legs. Zero Clearance:These units have been designed specially to fit on any platform. The zero-clearance design makes installing a Serta hassle-free. You can even keep your old platform. In terms of build quality, design and price, nothing on our list comes close to the Zinus smart-base. 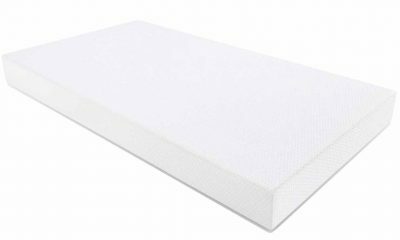 Available for under $100 you get a foldable box spring replacement that simply won’t fade. Best-suited to a memory foam mattress, you won’t even have to go far to buy the upper. 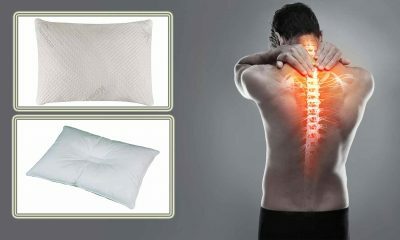 Zinus are also a leading mattress supplier with their Green Tea Infused products. Noise Free:A lot of platforms promise low-noise but not many offers noise-free. Not only that, Zinus have stuck to their promise. Extra Ground Clearance:For those of you in bedsits, studio flats or pokey apartments, this ground clearance will be a godsend. 13 full inches of space underneath each smart base foundation. Optional Headboard:If you’re fitting it with a headboard, you can use the easy attach brackets. Overall, we’ve been impressed with the versatility and ease of set up. Which Bed Foundation Should You Buy? 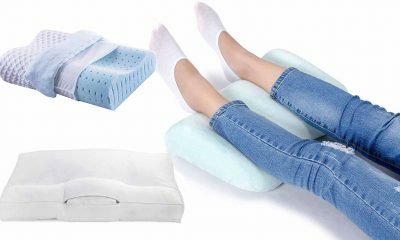 These are the three main types of mattress support. But which one you choose will depend on the size of bed you have. There’s other factors to consider as well, like how much room you have and whether you want space for storage underneath. 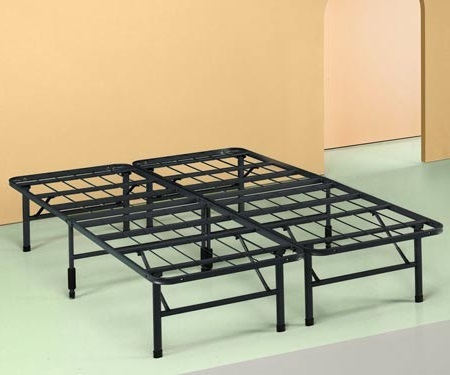 There’s an enormous range of mattress supports out there, but we can split it up into three main categories: box springs, foundations and platform beds. Each one has its own set of advantages and disadvantages so let’s break them down a bit now to find out which is right for you. Box springs are undoubtedly the most common. 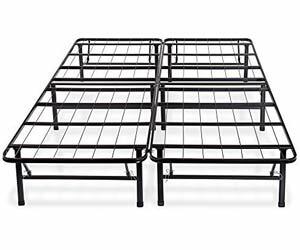 Cheap, durable with a decent level of comfort, these are solid frames with springs built in. The problem with box springs is that the support is weak in the middle. This means sudden impacts can cause the springs to break, resulting in pressure points. Modern box spring designs, forego actual springs in favour of cheap pdf or processed woods. They will provide a decent cushion, but they won’t last as long as the other types of bed listed here. 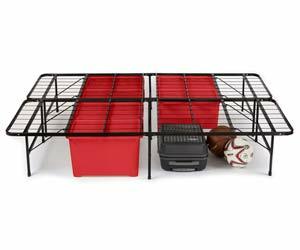 These beds are perfectly suited to those who live in smaller flats or want extra under-bed storage. Usually standing about 14” high, platforms can be built from either metal or with wooden slats. They’re durable and modern looking for studios or small flats. From the outside, foundations don’t look much different from box springs. They’re hollow bodied boxes with wooden slats on the inside. Foundations tend to be heavy duty in comparison with box springs but lower profile than platforms. If you’re looking at one, make sure its made using hard-woods throughout. 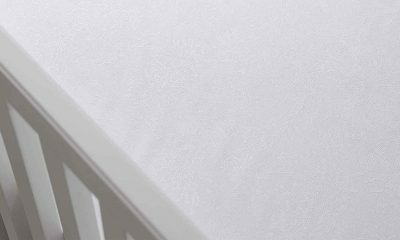 Why Do You Need A Memory Foam Mattress Foundation? You don’t necessarily need a foundation. 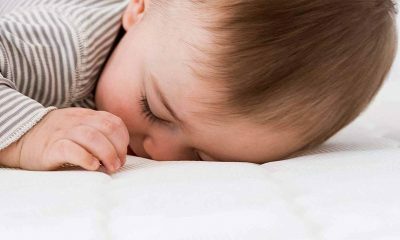 If you’re happy to place your mattress on the floor, then that will be a perfect rigid surface. It might get a bit of damp or dust-mites on it though so be careful where you place it. If you don’t want to put it directly on the floor, then you’ll need something to elevate it. If you have a bed with existing slats, no problem. If your bed is designed to have a box spring, then you need a box spring- otherwise the mattress will sag through the gaps. 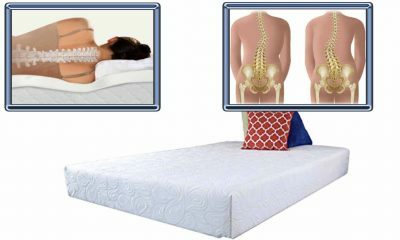 A sagging mattress is not only bad for your back. It also can void the warranty you have on your mattress. 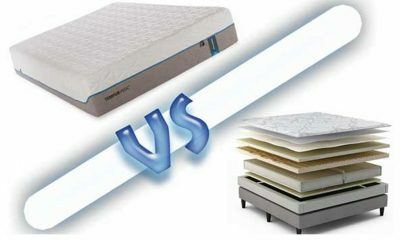 Making sure your mattress has the proper support is vital to getting the best value for money. 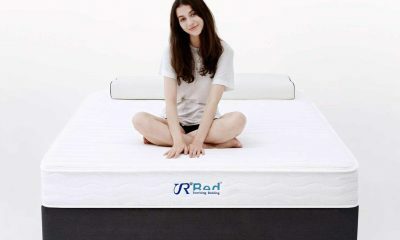 A firm, rigid base will get the best out of your mattress. Decide how high you’d like to be, whether you want wooden slats or box spring, or even if you’d like under-bed storage space. Investing in a good quality foundation will prolong the lifespan of your memory foam mattress. After conducting some research, we found that latex and memory foam mattresses require rigid support. That leads us toward wood and metal foundations. Naturally, metal foundations are stronger than box-springs. If you’re opting for a wooden construction make sure you’re getting solid woods, not hybrids. A wooden slatted foundation may be slightly more comfortable than a metal one. Although, wooden platforms don’t fold and are a lot heavier. So, if you’re looking for a portable bed, go with metal. It might seem like an obvious one, but you’d be surprised how many people have to send their platforms back. 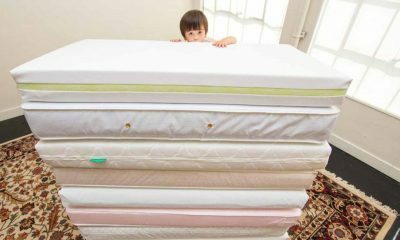 Make sure you match the size, be it twin, queen or king, to the size of the mattress you own. Wooden slats can be added to an existing bed, or a priority purchase when looking for a foundation. These slats are popular because they prevent sagging. 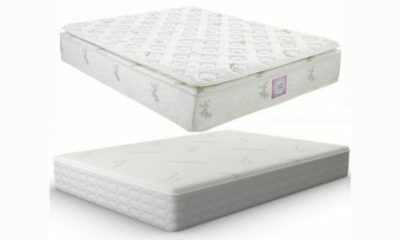 They’re also cushioning, and you won’t feel them if you have a particularly thin mattress on top. Whether you’re installing your own or buying from a store, keep in mind this simple rule: the wooden slats on a bed should be no more than 3” apart. To give you an idea, that’s roughly the size of a soda can. Wide gaps between slats will cause pressure points. Other things you’ll want to look out for include, weak or thin woods. Especially, in the middle of the bed where the slats need to be strongest. If you’re fitting yourself, make sure the slats are tight fitted so they won’t slide out of place. The type of investment reassurances you’ll get really depend on the amount of money you spend. Some of these models have warranties up to three years. Others, like the box springs, only have warranties that last thirty days. Choose wisely and, if you’re spending a packet, make sure of a warranty. Length, width and height have been added to each review, in that order. Run the numbers against your own space to make sure you have enough room. It’s a handy addition, especially if you don’t know the size of mattress you’ve got. Most foundations will support a higher weight category. 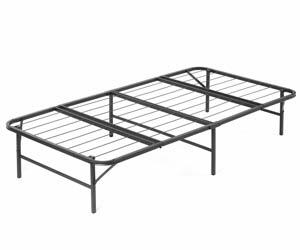 If you’re sharing a bed you’ll need something that can support up to 400lbs including the mattress. Most of the choices on this list have an adequate weight capacity. Where weight capacity has been exceptional, we’ve included it in the review. Where weight capacity has left a lot to be desired, we’ve mentioned it as well. If you don’t see any mention of weight capacity in the following review then it’s safe to assume it has an average weight capacity. You’ll find an extras category at the bottom of each individual review under specs. These have been included when a particularly useful addition has been made to the platform. That could be, high-ground clearance for under-bed storage, high-grade materials or portability. Make sure to look out for these when you’re conducting your own research.